Tarmeko Group is back from the holidays! We are well rested and ready to write again about our activities in Estonia and elsewhere. Where to start? At this point, it would probably be good to start with an overview of the fairs that Tarmeko's representatives visited before the holidays. In March, Tarmeko Pehmemööbel was on display at Lahti's Kauppiaspäivät at the Lahti Furniture Fair. The mess was held at the Lahti Hall, and was attended by many resellers, manufacturers, importers and designers from Finland and neighbouring countries. 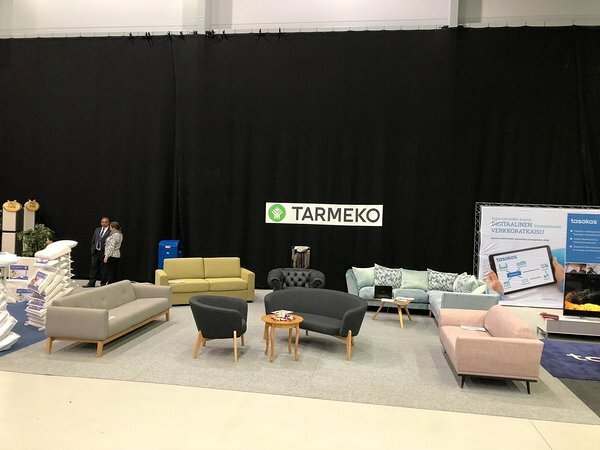 The scale of this fair is smaller than IMM or Interzum, which Tarmeko has previously taken part in, but not less interesting or important :) Below is a picture of the Tarmeko's exhibition. 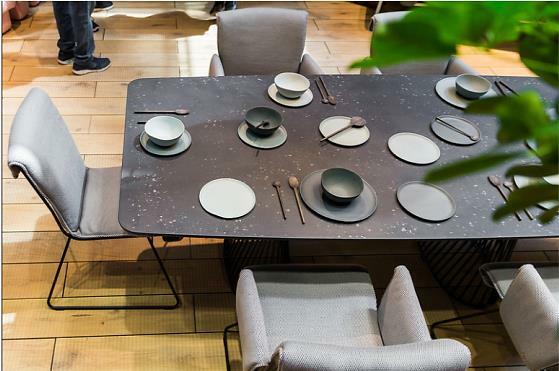 From 17 to 22 April, the Milan Salone del Mobile fair took place. This year, this event was held for the 57th time and in the 6 days, there were 43,505 people from 188 countries. Compared to 2016 and 2017, the number of visitors has increased by almost 26%. 3) xLux part that focused on timeless luxury in a modern way. In June, more precisely from 6 to 8 June 2006, the Design District fair in Rotterdam was held. This is the best décor exhibition in the Netherlands. Within three days, it is possible to see 200 best interior decoration brands in 10000 square meters. Exhibitors can see, in addition to furniture manufacturers or resellers, young designers and new possible talents from the local universities. Several interesting and latest lectures were also held during the event. The design district is always in a historic building. In recent years, there was one trade fair in the port of Rotterdam, the Van Nelle factory, or the HEMbrug area (formerly the Dutch Defense Ministry building). 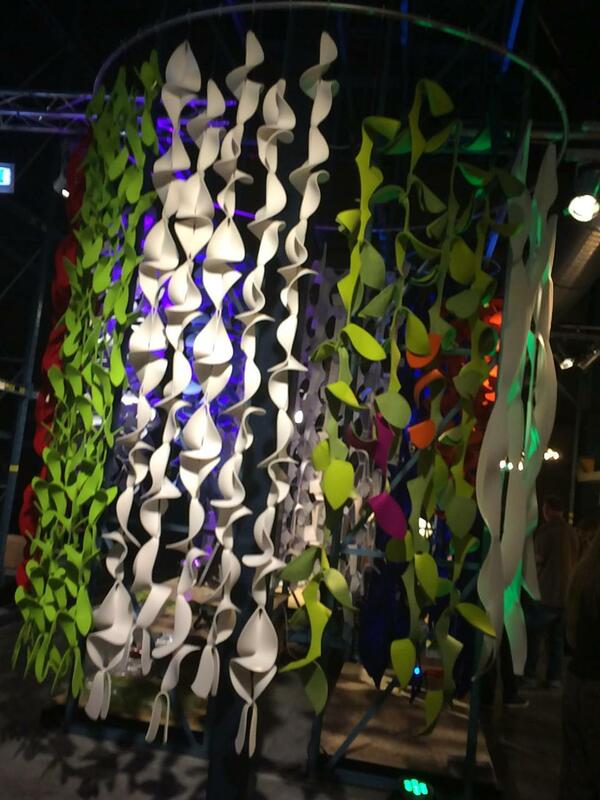 It can be said that the Design Districts Fair has become one of the main fairs in the field of furniture design in the Netherlands. The next fair, that will be attended by Tarmeko LPD with its own stand, will be held in October in Cologne, Germany. Orgatec is a business-oriented design fair and its this year's topic is culture@work. The mess lasts from 23 to 27.10.2018. What is going to happen at the fair, what models we are going to go to and so on, we'll talk about it in October! Visiting fairs and also participating in them is a big part of the furniture industry. Visiting different fairs allows you to go to many interesting and why not in exotic countries. However, in day-to-day sales, visiting a number of countries in a client meeting is more common. Prior to the holiday, Tarmeko LPD visited its reseller in China. One might think that China is a country whose production is first and foremost being sold to Europe, not that they actually would like to buy the furniture from there. "Made in China" is well-known to all. However, for example, Tarmeko LPD has for a few years now supplied its children's furniture models to some resellers in China. LPD has also participated in furniture fairs in China (together with Pehmemööbel). The trend in recent years is that the richer people in China want to buy European high-quality furniture. This is the exact opposite of what is being done in China (at least this is a common knowledge today still). That was Tarmeko's chance! You can see some illustrative pictures below of one Tarmeko reseller in China. The before mentioned reseller is just one of several interesting and exotic companies/destinations to where we sell our products. Still, there are still many others including Singapore, Dubai but we just wanted to show you the fascinating destinations and customers we have the pleasure to work with on a daily basis. Now, after a break, our batteries are refilled and we are excited to meet new challenges and perhaps find new resellers. We keep you informed about your actions!